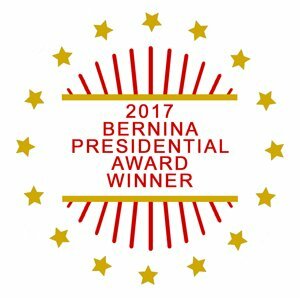 We specialize in BERNINA and Janome sewing machines sales, repair service, and education, offering expert product advice, personalized customer assistance, and thorough machine training. 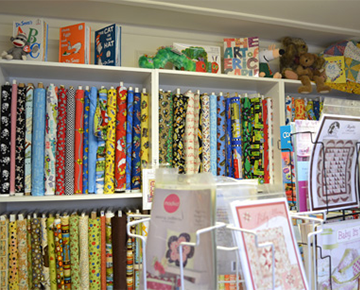 We are one of the largest Quilt shops in the Capital District. 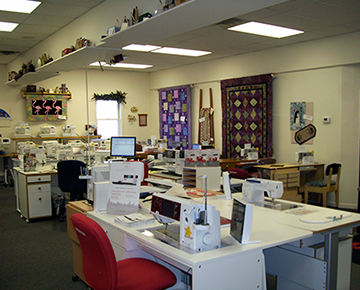 Our quilt shop is filled with products to make your sewing and quilting experience more efficient and enjoyable. 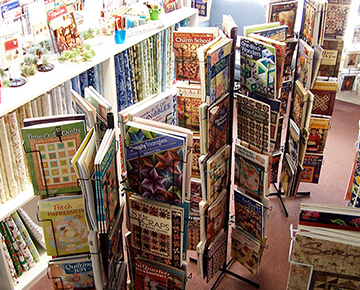 In addition to an extensive selection of quilting fabrics, ranging from Batiks and reproduction prints to novelty fabrics and modern designs, you will also find a helpful assortment of books, quilt patterns, notions, and tools. We also have many of our fabrics online and more for your convenience. Come see why a visit to our store is worth the trip! This class is geared to those that are totally new to free motion ruler work. We will explore the basics of working with rulers for both straight line and curved designs. 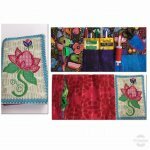 You will leave the class with a knowledge of some basic designs that you can use on your own quilting. Some previous experience and knowledge of free motion is required. If you need to purchase ruler foot and/or rulers there are cut off dates to guarantee you have them on time. Click on class title to bring you to page with cut off dates for ordering.